My first week at work was a bit of a drag, given that I was supernumary Monday through Friday, and this knocked my confidence a little as I certainly didn't feel like a nurse, and after three months off work I was desperate to get my purpose back. It was necessary of course, as there was so much to learn, staff and patients to get to know, and a whole load of new purposes. The best way for me to learn however, is by doing, and come Sunday I was finally allocated into the numbers and I learnt much more, and the shift seemed to fly by. Prior to starting work I'd had big worries about the journey and the best way to get to and from work. I've discovered that I quite enjoy public transport, as the bus stop is three minutes walk from my house, the bus takes only 20 minutes, and then the walk at the other end is another 20 minutes. The walk takes me through two beautiful parks, and first thing in the morning when the sun is rising the views are stunning and I enjoy the time to myself listening to podcasts. What I have since discovered however, is that the buses home stop at 21:00, and my late shifts end at 21:30. So the last two late shifts I had to get an Uber home, with the other options being that I cycle (currently not confident enough to cycle home in the dark) or walk, which takes almost two hours. I'm planning to cycle for a couple of early shifts so I can get to know the route in the day time, as I certainly don't want to be getting into the habit of getting Ubers home, even if they are only a dollar or two more expensive than the bus (thankfully there are always Uber discount codes here!) It has also made me question whether I want a car, but I am determined to make do without, as I just don't think the costs would be worth it in the long run. One of the great things I have discovered since getting a bike, as that there are so many little parks and green spots that will be amazing come Summer time. A lot of the parks have gated off areas for dogs to run around in off the lead which are really popular and such a great idea. They also have outdoor BBQs which anyone can use, and I can't for Summer to roll around so I can sit out in the parks of an evening after work. 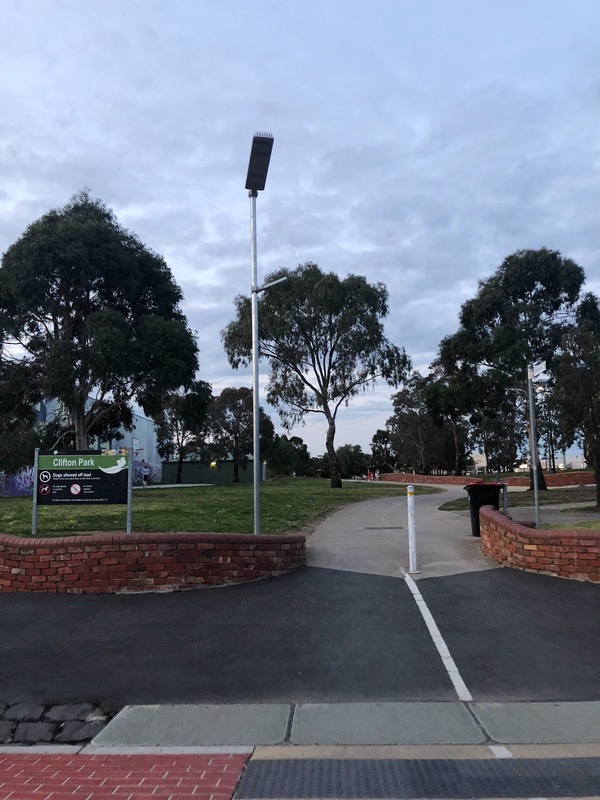 The cycle route to work goes along the Merri Creek, and the one day I managed to cycle it felt like such a treat to be able to cycle instead of get the bus. Whilst being in Australia I have probably walked more than I ever have since owning a car, as everywhere I go I walk, whether it's going to the supermarket, meeting friends, or heading to the gym or library. I feel so much healthier for it and it has been a great way to discover more places, as driving places means you don't really get to discover the little nooks and crannies of a place. There have only been a few times that I've missed having a car, and now with having a bike I think I'll be looking to do a few bike rides in the Summer. At least I am mostly getting my exercise in every day, as previously work days would mean sitting in front of the computer all day and barely moving. Despite joining the gym two weeks ago, it has taken me until now to finally attend a class! I had planned to go most days during my first week at work, but was so exhausted after work and taking in so much new information, that I decided to go easy on myself and give myself the week to settle in. However, I attended a spinning class yesterday and I knew that all it would take to get the gym bug back would be to attend just one class, and finally I'm motivated to start attending again. I don't really have any excuse, because the gym is no more than a five minute walk from my front door, and the classes are on at all hours of the day from 06:00 through until 19:00, so there's no doubt I can find something to fit around my shifts. 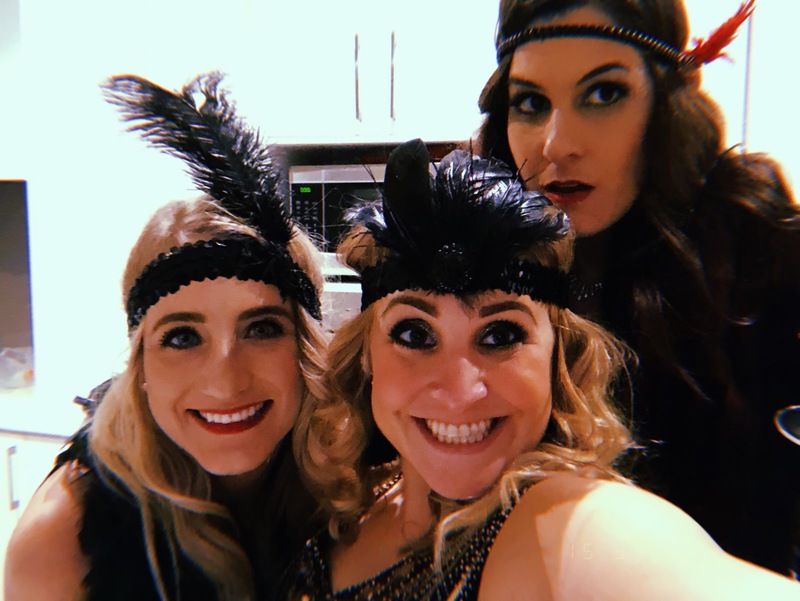 Saturday was my only day off during my first week of work, which was very fortunate as a group of girls and I had all booked tickets to a 1920s Great Gatsby-themed ball. We had booked the tickets well in advance, and they cost us $80 each, so we were expecting great things; I would have been hugely pissed off if I’d been rostered on to work it! The girls and I spent weeks trying to find cheap outfits and accessories, and finally on Saturday we'd managed to pull it off and we were super excited about going to the 'ball’. However, our excitement was short-lived as the ball itself was a complete let-down. The ticket included an open bar from 7-11pm, as well as buffet food / canapés. When we got there we queued for just under an hour to get a drink, at which point people were getting so annoyed that the bar staff resorted to handing out whole bottles. Beer, wine, and soft drinks were free, but instead of just lining up glasses for people to help themselves to, they were taking orders, which didn’t make any sense at all. They had run out of fizzy by 8pm according to the angry commenters on the Facebook group. I didn’t see a single plate of food. The cloakroom consisted of a clothes rail in the middle of the hallway - unattended - which at the end of the night resulted in coats and bags spread out across the floor, trampled on and in a big messy heap. The music was definitely not 20s, and the venue looked more like a cheap nightclub than something worthy of a ball. People were understandably getting very angry in the queue for the bar. WE didn’t last very long and left at around 21:30, and decided to head home to get UberEats! The next day, the comments on the Great Gatsby Facebook page formed a source of entertainment in their own right. It seems everyone else had exactly the same opinion as us, and the company was left to grovel and apologise to all of the scathing comments. They sent an e-mail out a few days later to apologise but also to say that they weren’t in a position to offer any refunds. It was a shame that the event we’d so been looking forward to ended up being such a disaster, but oh well!